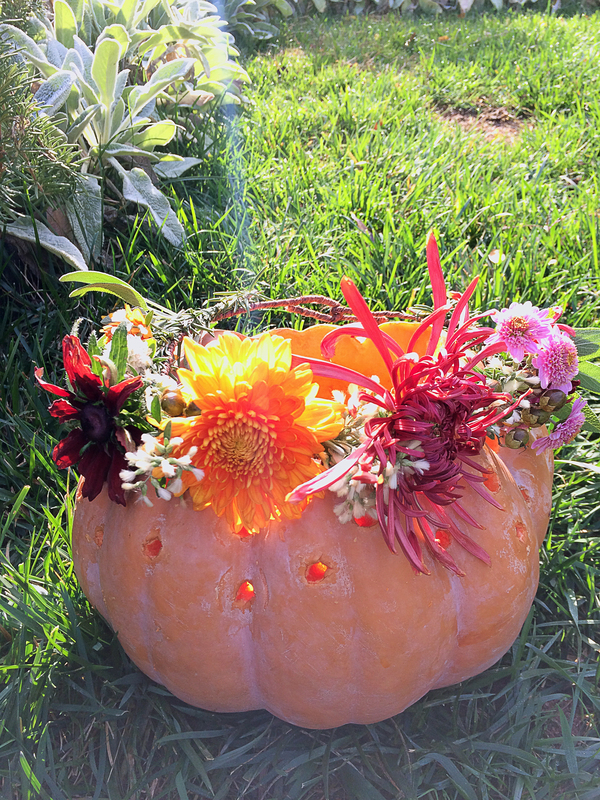 With the end of October comes one of my favorites flowers — the heirloom chrysanthemums. Just as all the other flowers are dying back, these beauties come on the scene filling the garden with color with their funky shapes and sizes. I have been collecting brass (I have thrifted) and brown glass bottles this season and wanted an excuse to use them altogether. 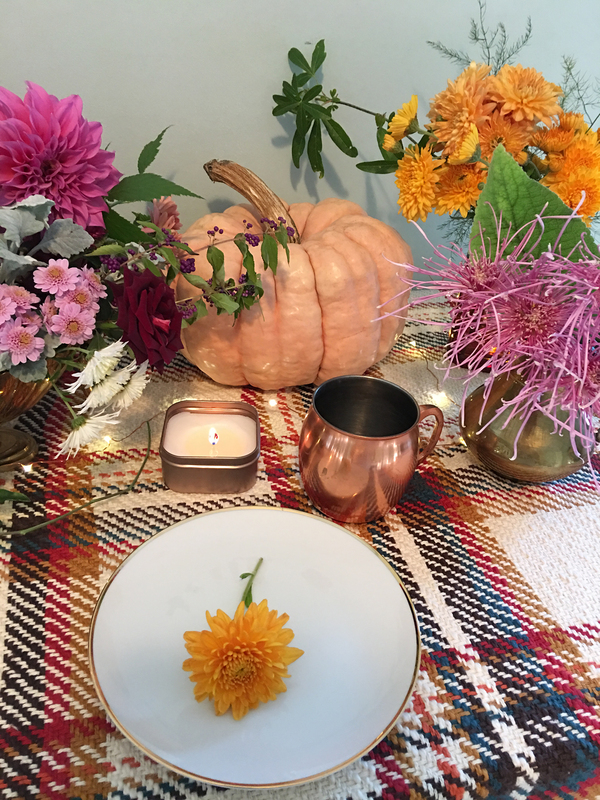 I fell in love with this plaid blanket at Marshalls and it has been on our dining room table all fall. 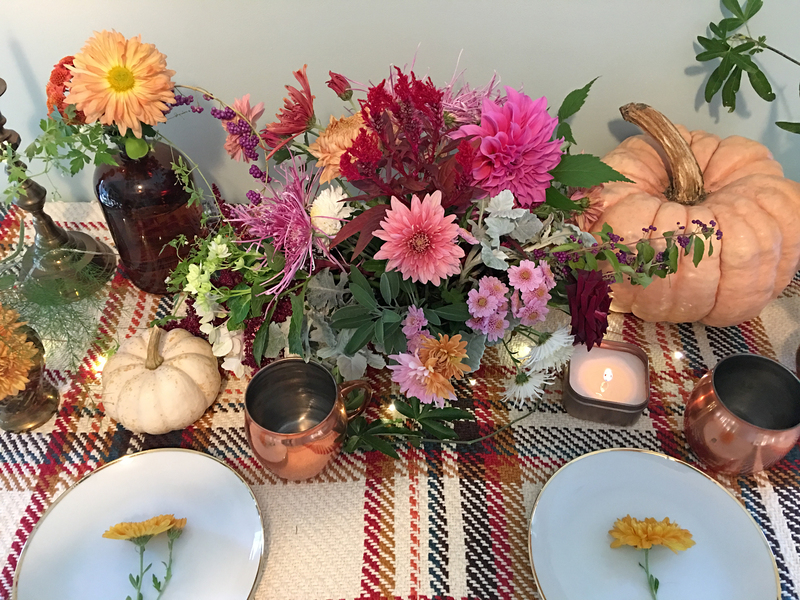 All of the blooms and foliage were from the garden. The brown bottles and Moscow mules mugs are from Target. On the left is the last of the Cafe au Lait Dahlia’s for the year. I fell in love with the Cinderella pumpkins that were at the pumpkin farm this year. I think we might have to reproduce this look for Thanksgiving this year. *** all the mums plants were purchased from from King’s Mums. If you are interested in growing mums in your garden for flower arrangements, check out my post from last year HERE. To see mums used in flower crowns, visit this POST.